Join Team Causeway for Cracking-up the Capital’s attempt to beat the Guinness World Record for most snowmen built in one hour! Last year we built more than 1,500 snowmen, and this year we’re going to bust that number and try to build 3,000 snowmen! It’s all happening on Sunday January 31st at 10:00am on the field at TD Place – Lansdowne Park. Registration is free but we are accepting donations that go directly to support Causeway’s programs and services. Collect pledges from your friends and family to help us meet our goal of raising $2000–there will be a top-secret prize for the participant who raises the most money in pledges! If you can’t attend the event, you can still help out by spreading the word–and by donating to our snowman campaign here! Remember to bring all the items you need to complete the snowmen you plan to build. 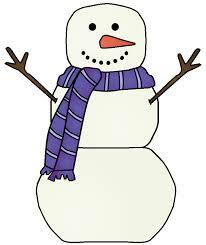 To qualify for the Guinness World Record each snowman must be 3 feet tall, have 2 arms, 2 eyes, and a nose. You can add anything you want beyond that, and if you want to add scarves, hats, or gloves to your snowmen, these items will be collected and donated to the Salvation Army after the event. You can also bring tools (we particularly recommend buckets) to help you construct the snowmen. Be creative and most of all, have fun!